On July 18th the dotCOMM Awards announced that the Lexington Law App won a Gold award. Lexington Law, and other early deadline winners in the 2018 international awards competition, were honored for their excellence in web creativity and digital communication. 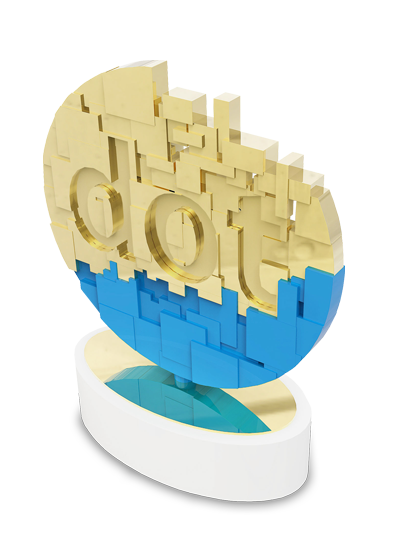 The dotCOMM Awards‘ categories represent the elements of the web’s evolving tools. Interactivity, content, design, social media, video, apps, bios and influencers are all important components of digital public relations, marketing and advertising campaigns. Entrants include designers, developers, content producers, digital artists, video professionals, account supervisors, creative directors and corporate executives. Judging for the awards is administered by the Association of Marketing and Communication Professionals (AMCP). The international organization consists of several thousand marketing, communication, advertising, public relations, media production and free-lance professionals. AMCP oversees awards and recognition programs, provides judges and rewards outstanding achievement and service to the profession. With the new app, Lexington Law’s clients will no longer have to manually search through Lexington Law’s full website on their phones to check on the status of their credit repair cases. Now, they can simply log in to the app and access the information they need with just a few easy taps.